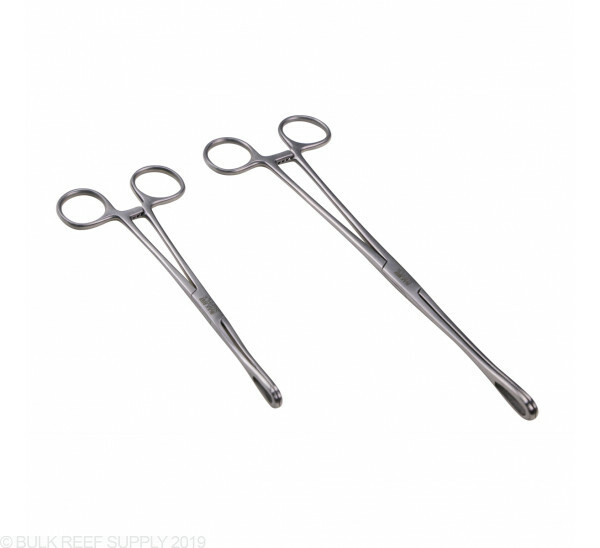 Add these specialized forceps to your coral propagation kit. Good for holding onto soft corals. 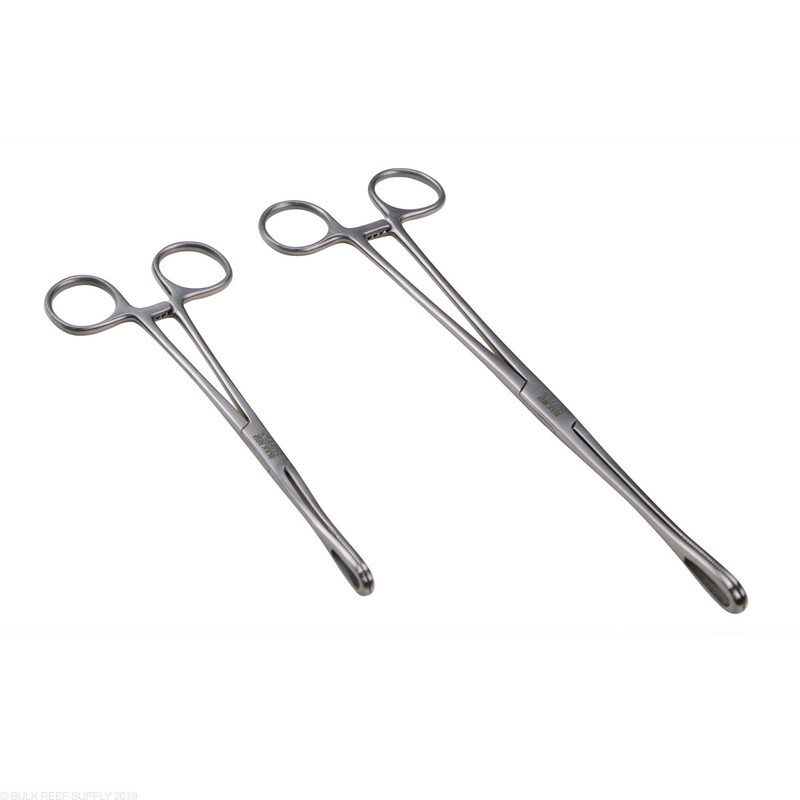 The forceps have a unique opening and that would allow you to access the coral while you are holding on to it. Great if you're trying to run a piece of line through a mushroom coral to attach to a rock. Available in 7" and 10"
These seem to be made from decent quality stainless steel and are nicely polished. I've only had them a few weeks, but no signs of rust yet. They are also nicely manufactured.